Book clubs are everywhere these days. And women talk about the clubs they belong to with surprising emotion: "You will never know what a difference it made in my life". But why are the clubs so important to them? Which women join book clubs and why? And what do the women discuss when they meet? To answer questions like these, Elizabeth Long spent years observing and participating in women's book clubs in the Houston area and interviewing members from dozens of different discussion groups. Far from being an isolated activity, she finds that for club members reading is an active and social pursuit, a crucial way for them to reflect creatively on the meaning of their lives and their place in the social order. Similar to their 19th-century predecessors, whom Long also considers, women today find in reading groups the inspiration, support and self-confidence to reimagine themselves both individually and collectively. 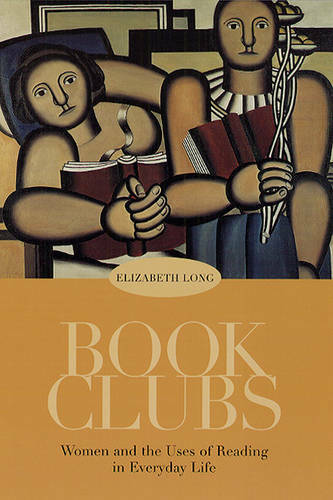 Tracing how this process works, Long takes us on a guided tour of the book clubs themselves, from how they are formed and organized to how members choose which books to read. Through vivid examples, she shows how women use literature to achieve personal insight and empowerment. She then turns her attention to the emergence of book clubs that are run through chain bookstores, television shows and the Internet, and considers the importance of such clubs for women as a broader cultural forum. Far from just an excuse to get together once a month, book clubs are here revealed to be a vital arena for self-formation, one that has as much currency now as it did a century ago.